Participation: the Archive involves local community members in the decision making process about what materials are collected, how materials are described, and who has access. 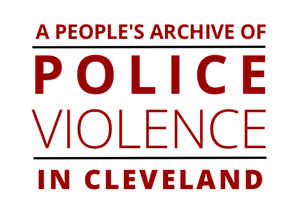 Moreover, the Archive empowers Cleveland community members to maintain the custody and direction of the Archive over time. Perspective: the Archive is strengthened through the inclusion of records in varied formats and perspective, and the Archive is weakened through metanarratives that simply replace one form of dominant narrative with a new dominant narrative. Power: Through the analysis of institutional power, the Archive identifies and unpacks systems of oppression while also analyzing the narratives that help to legitimize and hold these institutions in place. These principles were informed by the anti-oppression principles compiled by the Center for Story-Based Strategy and the body of practice in community archives as researched and described by Michelle Caswell in her article, “Toward a Survivor-Centered Approach to Human Rights Archives: Lessons from Community-Based Archives.” Archival Science 14: 3-4 (2014): 307-322.